Tied with a Ribbon: In the Press! Whilst walking through the airport terminal the other day I was excited to see the new issue of Handmade Magazine on the stands. And there on the front cover is one of my Christmas projects - a Fabric and Felt Wreath! Yay! So upon my arrival home I was able to excitedly have a look through the pages and inside there are actually 3 of my Christmas projects featured. Not only the Fabric and Felt Wreath but also a Christmas Baubles Applique Table Runner and a sweet Gingerbread House felt decoration. 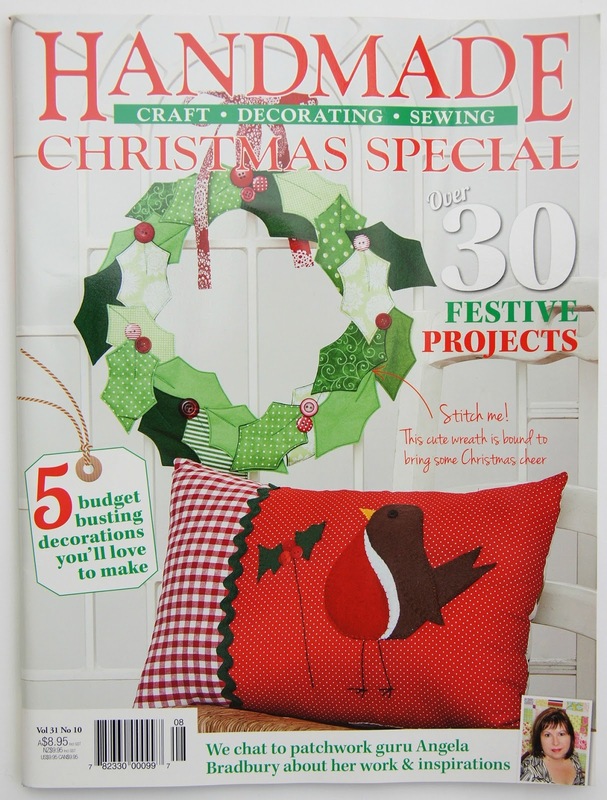 If you are wanting to get a start on some Christmas crafting then there are lots of great projects to inspire you in this months issue by many talented and crafty people. It is quite a buzz seeing the projects you yourself have made on the glossy pages of magazines. 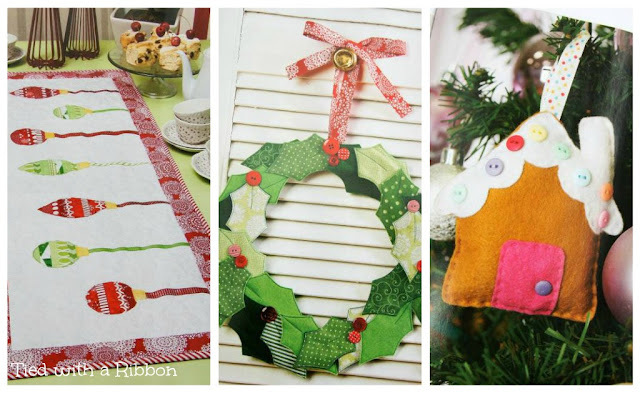 And let me know if you make any of my projects - I'd love to hear from you!